This post was originally published on NationalPainReport.com and is being reprinted here with permission from the editor. I have a love/hate relationship with New Year’s resolutions. The high-achiever, gotta-get-it-done-no-matter-what side of my personality absolutely loves the idea of setting goals for the coming year and mapping out a plan to achieve them. I’m one of those people who gets a little buzz every time I cross something off my to-do list. Then there’s another part of me who thinks the whole idea of taking on new projects in January – one of the coldest, most miserable months of the year (at least on the East Coast of the U.S.) – is just absurd. After all, who feels like slogging to the gym through a foot of snow? (That is, IF you were even physically able to do that, which many of us with chronic pain and fatigue are not.) Who wants to eat more fruits and veggies when most everything is tasteless and out-of-season during the winter? Who wants to pack up their clutter and haul it to the Goodwill when it’s freezing outside? This definitely isn’t the ideal time of the year to take on big projects, like losing 40 pounds or decluttering our homes. Despite the folly of New Year’s resolutions, I somehow get the itch every year to write out a list of things I’d like to accomplish during the coming months. But this year, I’ve decided to do something different. Instead of stressing myself out with a long list of overly ambitious to-dos, I’ve been inspired by this video to pick a theme word for the year. 2017’s word is HEALING. I decided to choose healing as my word-of-the-year after my latest appointment with my Lyme specialists. Before each appointment, my doctors have me fill out a questionnaire, which lists various symptoms and asks me to rank them as mild, moderate or severe. 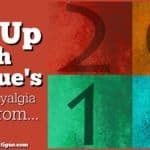 When I started Lyme treatment in May, my score was 37. December’s score was 19. Needless to say, after so many years of feeling like crud, I am thrilled with the progress I’m making. 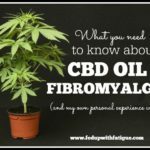 I still have a long way to go, and my life is far from normal, but my doctors have told me that my fibromyalgia symptoms may improve once the Lyme has gone into remission. For the first time since becoming sick, I feel like it might actually be possible for me to get my life back or at least have some semblance of normalcy. So, I’ve decided to devote 2017 to healing in all of its forms with the goal of being in remission by the end of the year. Obviously, I can’t do this all the time, but I’d like to frame as many of my thoughts and activities around healing as possible. What does that look like for me? 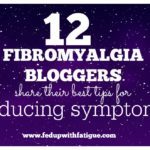 I know that eating the wrong foods can really exasperate my fibromyalgia symptoms. I’ve already given up gluten and most processed foods, but my doctors have suggested giving up dairy, too, because I’ve tested positive for an allergy. It’s time to take their advice and see if it helps. It means being more diligent about self-care. It means minimizing negative self-talk and conflict in my life. It means reducing stress and finally resuming an everyday meditation practice again. When I’m physically ready, it means adding in some gentle exercise, like walking or yoga. It means learning to rest when I need to instead of continuing to push ahead. It means asking others for help, even though I hate depending on anyone for anything. 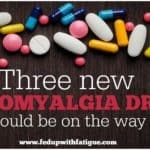 It means doing more research and figuring out if there are other treatments that might help in my recovery. Choosing a theme word for the year instead of setting specific resolutions feels like a more relaxed way to approach self growth. I don’t have a rigid set of things to do. As opportunities arise, I will ask myself, “Does this support my healing?” and let the answer guide my decision making. No pressure. No stress. So, what do you think? If you were to choose a theme word for 2017, what would it be? 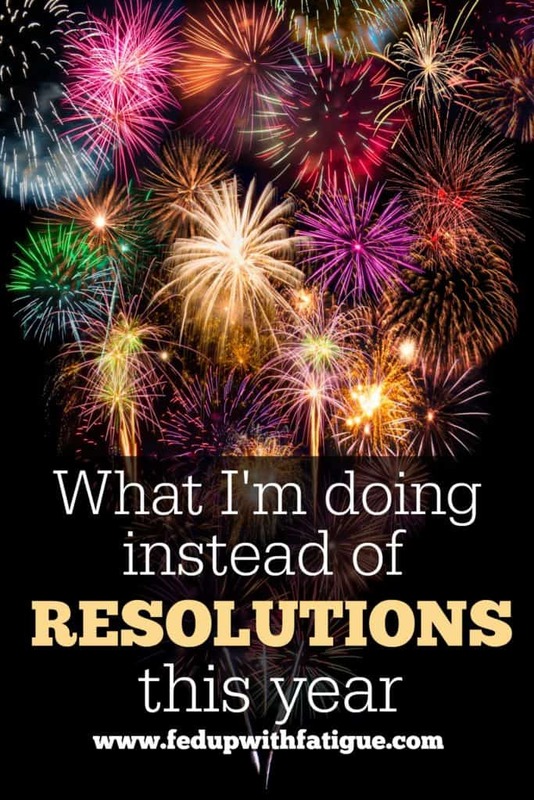 Did you set resolutions this year? If so, what are they? Please share in comments below! I’m just writing a quick line as I have suffered horrendously from fibro and ME since 2003. Having exhausted all areas of medicine in Ireland I was lucky enough to meet a surgeon who told me I’d need to go to Paris or Brusells to get well. He gave me the name of a doctor in Paris, and I flew over from Dublin in July 2016. My life has changed massively since then. I emailed all my blood and urine results in advance and when I met him he said he knew what was wrong. He treated me for adrenal burnout and I am like a new person. I could barely function and am now in the gym 4 times a week, work 20 hours and raise two children. My stress hormones were so depleted that my body and mind had resistance to nothing. I had been on every medication, had nerve blocks, infusions etc. No good at all. My buzzword is wellness. I just want to be well for 2017. Hey Claire, so nice to hear from you. I’m so glad you’re feeling better! You mentioned that you were treated for adrenal burnout. I think that’s one of my main issues as well. Do you mind sharing what your treatment entailed? If it’s too personal and you don’t want to share in the comments, please feel free to email me at donna [at] fedupwithfatigue.com. 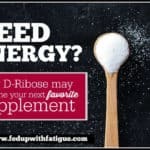 I’d love to find out what helped you so much! I totally agree! Having a word instead of a rigid set of resolutions is a great idea! I hope this year will be a wonderful year of health for you! My word originally was going to be health, but after just getting diagnosed with Chiari and EDS at the end of the year, I don’t think I know enough about either condition to really guarantee health yet. So my word instead is wellness. Similar, but more holistic, and things can be well with my soul even if I’m physically sick. I don’t like resolutions either. They’re usually unrealistic and they get abandoned mid-year. I set some simple goals for myself, like drinking a glass of water before my morning coffee. I like the idea of a focus word, though. Healing is a great word to focus on. That’s a good one! I’m doing a lot of that these days. I love this idea. As you mentioned healing I thought that was a good word for me. However, while surfing the many videos on choosing a word of the year, the word “awareness” jumped out and grabbed me. This is my first lesson; pay attention to those things, i.e. words, that are calling my name. 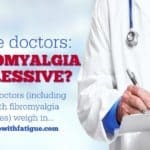 Thank you for working so hard for us fibro-lites. That’s a great word and definitely one that I need to work on in my own life. My 2017 resolutions are: 1) continue to be my best self-advocate to building a stronger level of immunity 2) walk a minimum of 1.5+ miles/day 3) continue wake-up and before-bedtime stretches, prayer and meditation daily 4) remain vigil on reduction of grains, sugars and dairy from my diet 5) drink at least half my body weight in water 6) continue premium nutri-supplementation 7) no synthetic caffeine and only small, occasional amounts of natural caffeine 8) daily inspirational reads and/or audio 9) stay up-to-date on chronic pain (fibro) knowledge and treatment advancements (including non-drug) 10) positive social time, because I know it helps me overall (mentally, spiritually and emotionally) and 11) save when possible towards travel. Those sound wonderful! You’re really making good choices for yourself!